On a slightly chilly but pleasant February morning in Delhi, Mr. Sreeni, the Amrita SeRVe village coordinator from the Tamil Nadu village of Sadivayal, arrived at the venue for the National Conference on Agriculture. 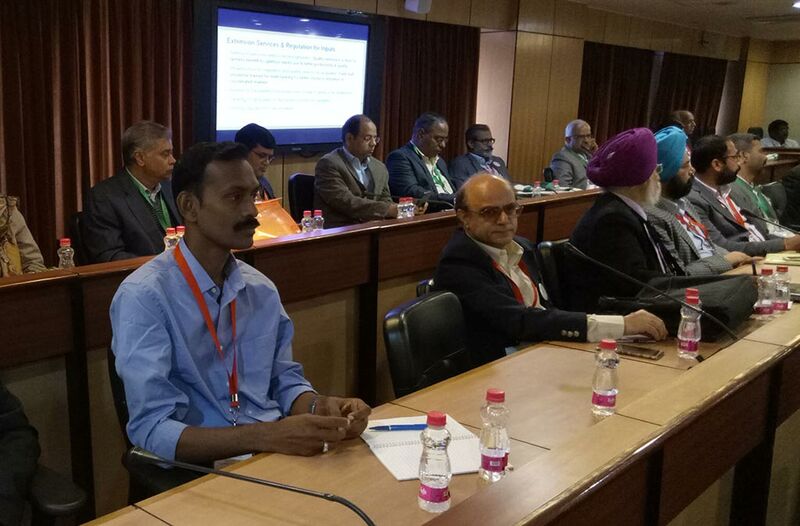 Organized by The Ministry of Agriculture &amp; Farmers Welfare (MoA&amp;FW), ‘Agriculture 2022 – Doubling Farmers’ Income,’ was held on Feb 19 and 20 at the National Agriculture Science Complex (NASC) in Pusa, New Delhi. On the advice of the honorable Prime Minister, the conference focused on identifying appropriate solutions to critical issues relating to agriculture and farmer welfare. 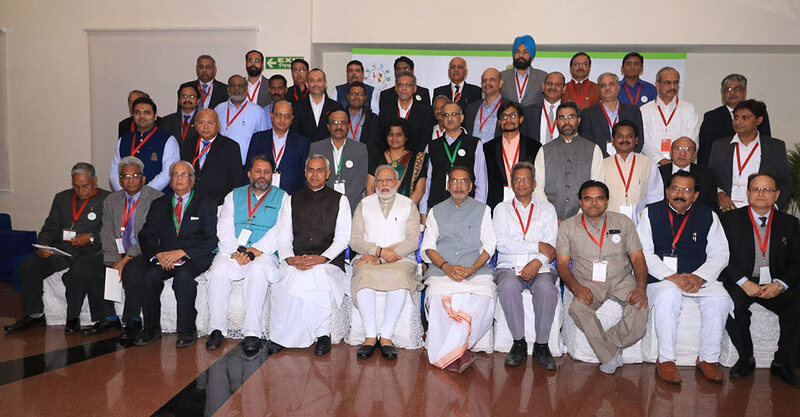 With a theme of ‘farming for the farmer,’ participants created practical action steps to aid in shaping and sharpening the government vision of doubling farmer income by 2022, a goal which necessitates both quick results and long-term solutions for India’s farmers. As one of 40 invitees from across the country, Sreeni was part of a diverse group of farmers, academicians, policy makers, and NGO representatives who have been working for the betterment of agriculture in India. Sreeni was part of the team that dealt with policy and governance reforms. Sharing some of the achievements of the Sadivayal farming community, partnered with Amrita SeRVe, evoked enthusiastic responses from participants. Of special interest were eco-friendly practices such as soil revitalization following years of pesticide usage as well as cost effective plans for organic farmers. Participants also expressed interest in the ways Amrita SerRVe had facilitated the village farmers in overcoming challenging situations and setbacks en-route to these achievements. After this session of mutual interaction, each team was given 10 minutes to present its ideas to the whole audience. The Prime Minister followed up with compliments to the farmers of India, especially for the big jump in the production of Pulses. In this regard, he highlighted four pivotal areas: reducing input costs, ensuring fair produce prices, reducing wastage, and creating alternate sources of income. This conference gave Sreeni a great platform for expressing his opinions on farming to policy makers who are able to enact changes that directly impact the lives of farmers throughout India. Thanking Amrita SeRVe for the opportunity to gain exposure to new thoughts and ideas, Sreeni expressed his intention to bring these to Sadivayal to help make further changes for the betterment of farmers there.